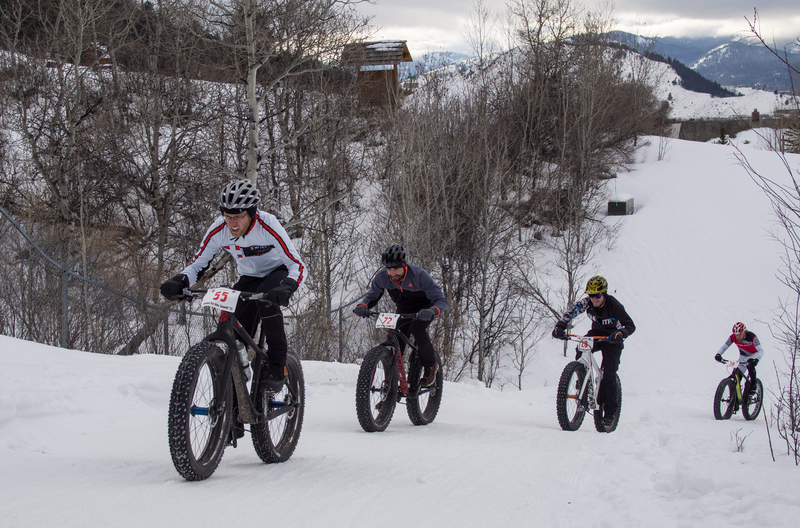 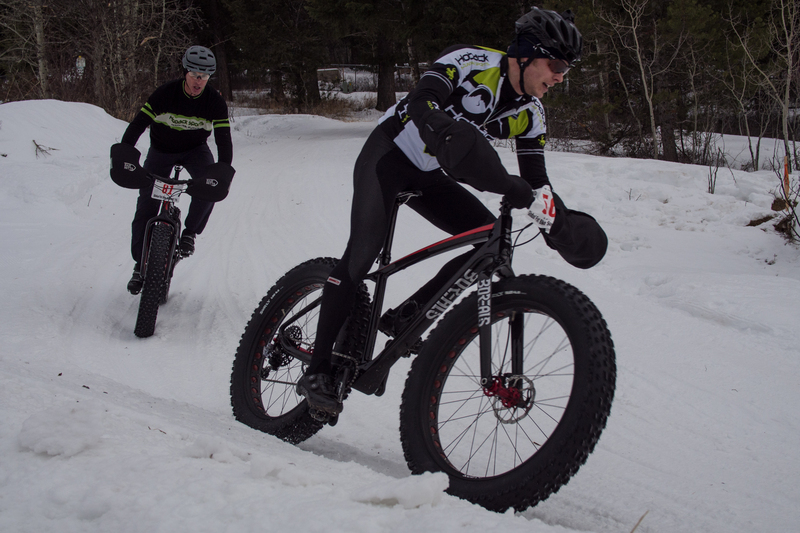 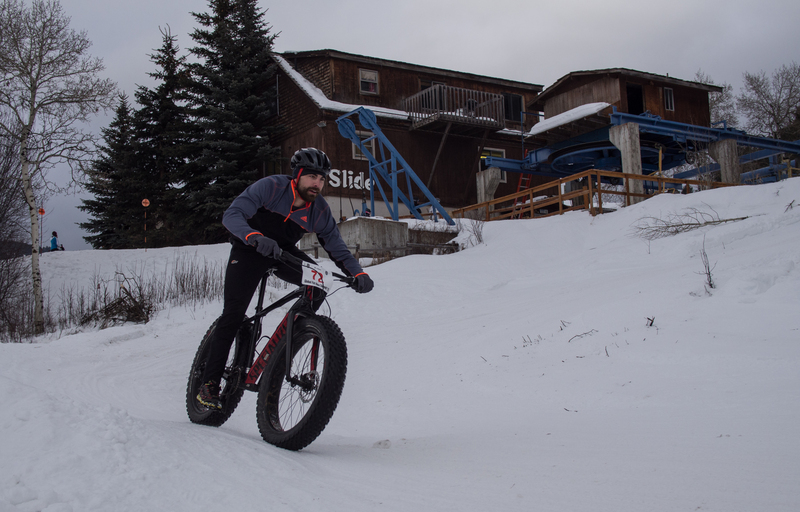 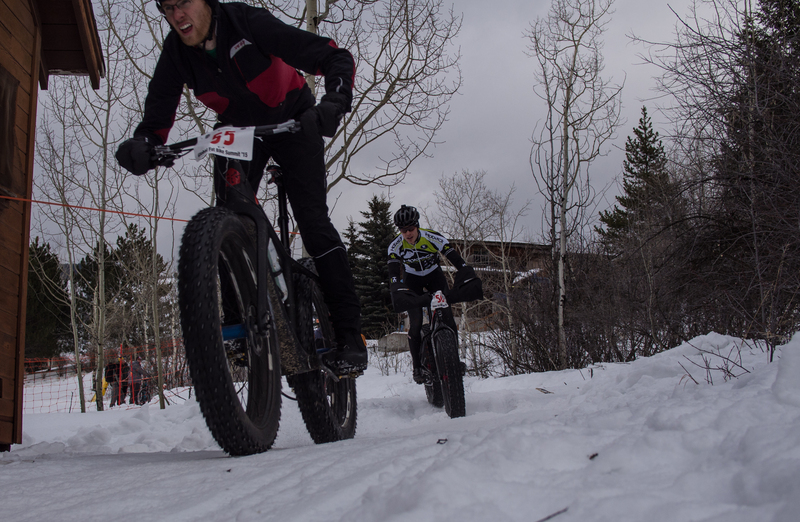 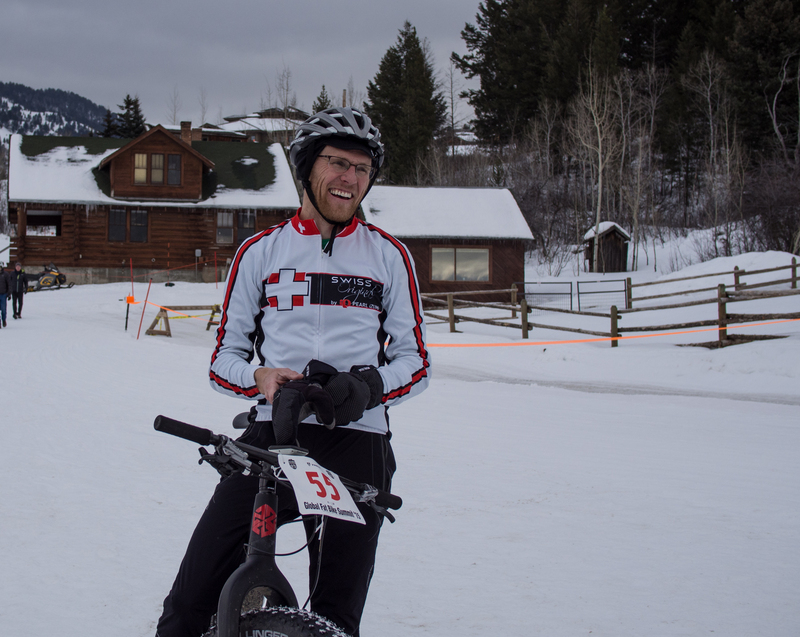 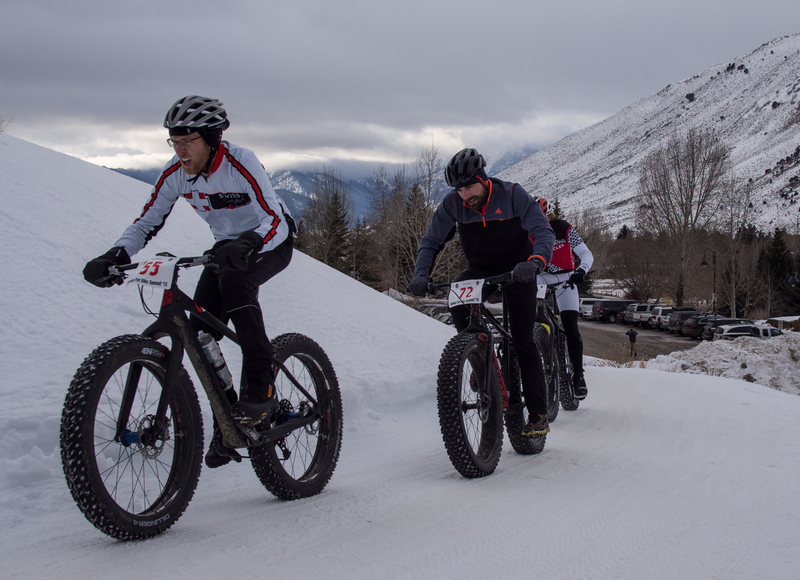 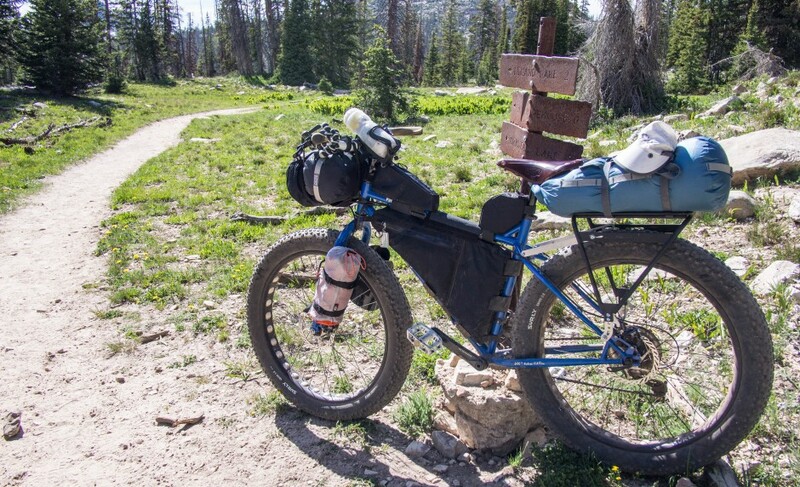 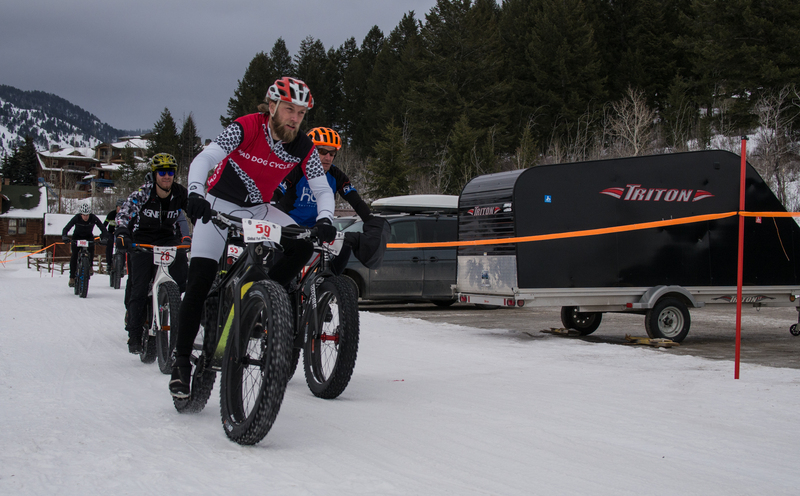 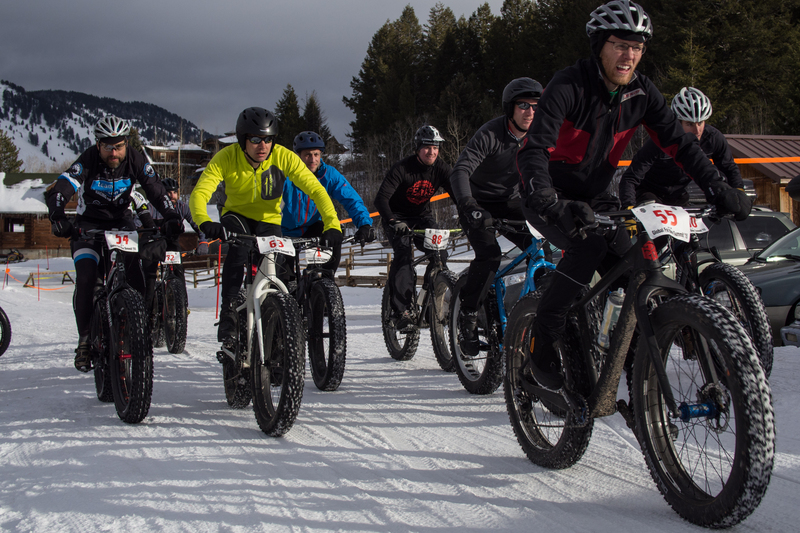 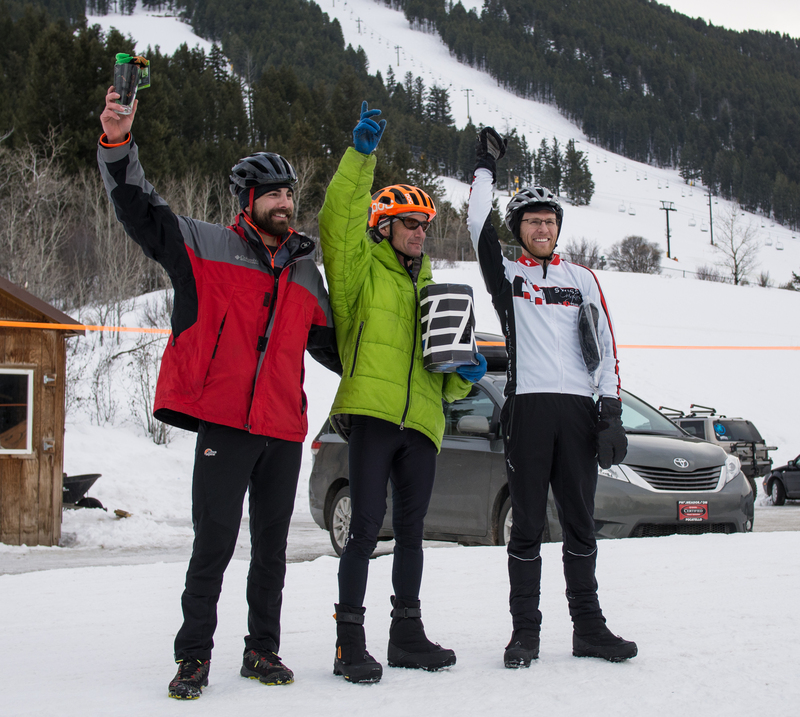 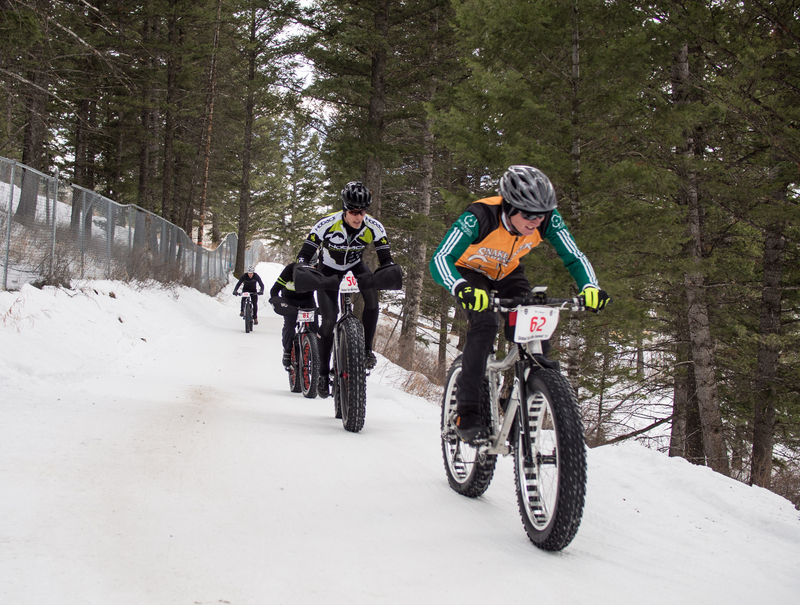 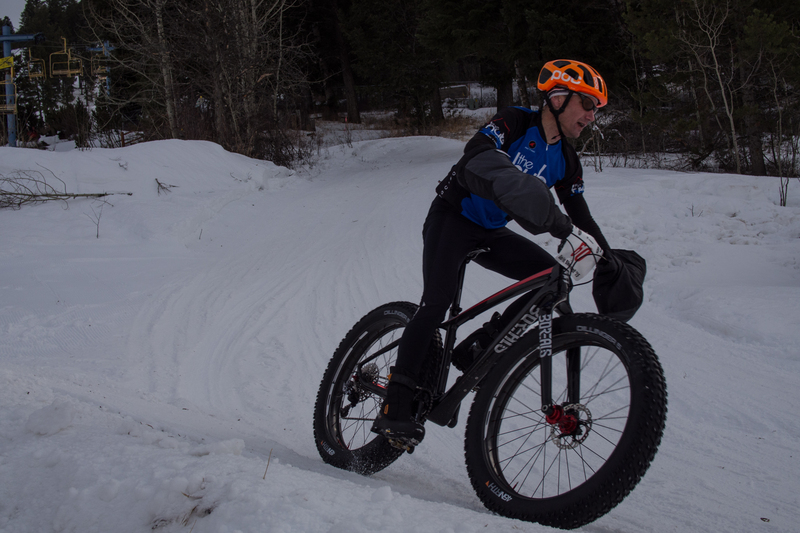 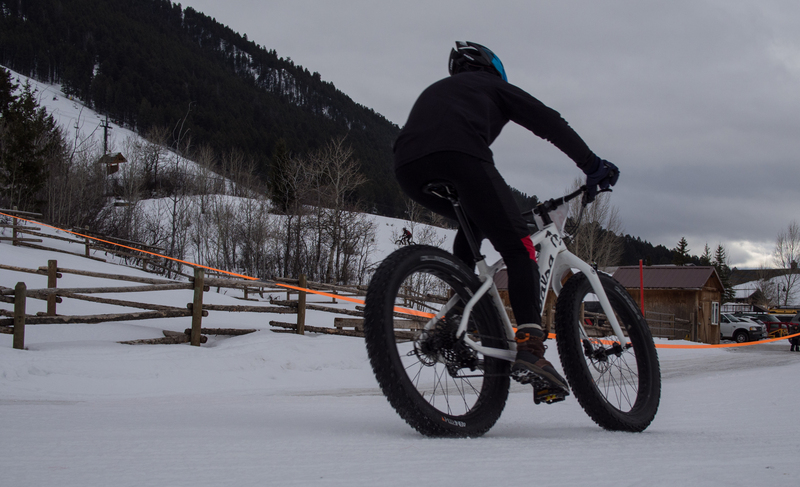 The race at this year’s Fat Bike Summit was a very short, but fairly demanding course. 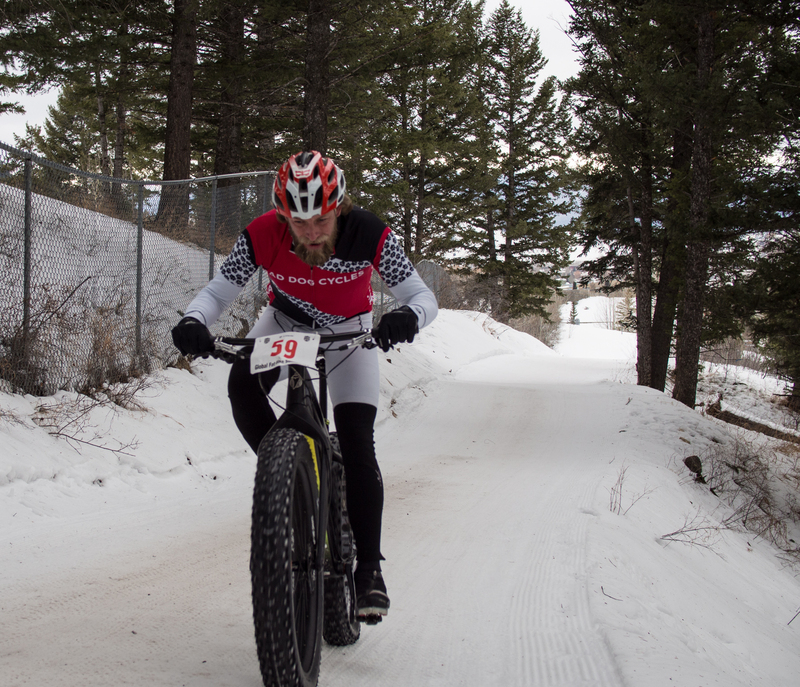 It had a short, steep climb, some rolling terrain, a steep downhill with a sharp bermed corner, and some straightaways. 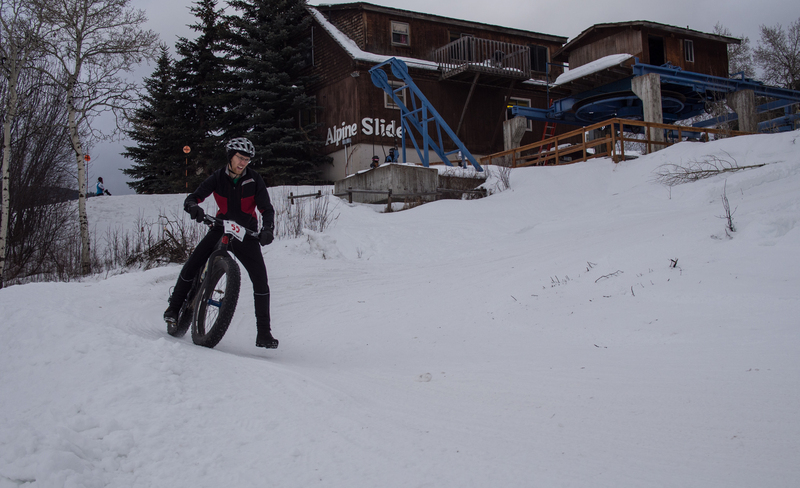 It was pretty exciting to watch. 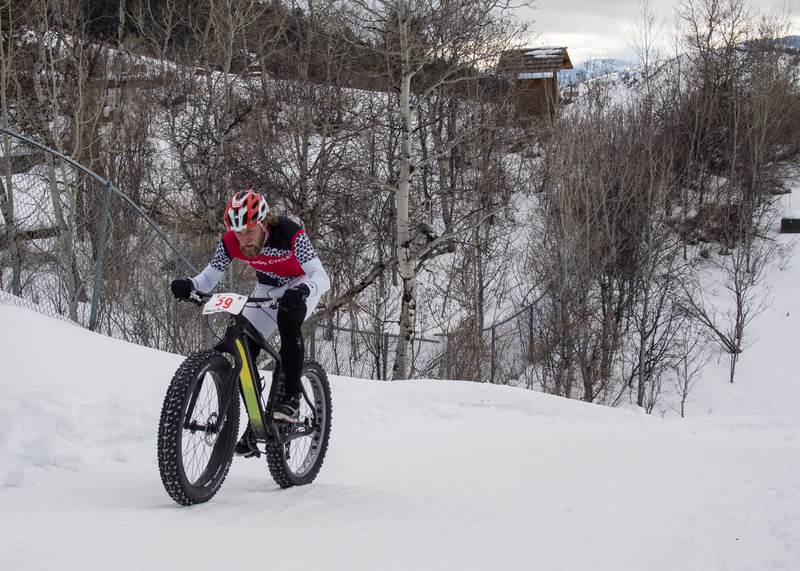 There were two heats of 10 riders with the top five in each heat advancing to the finals. 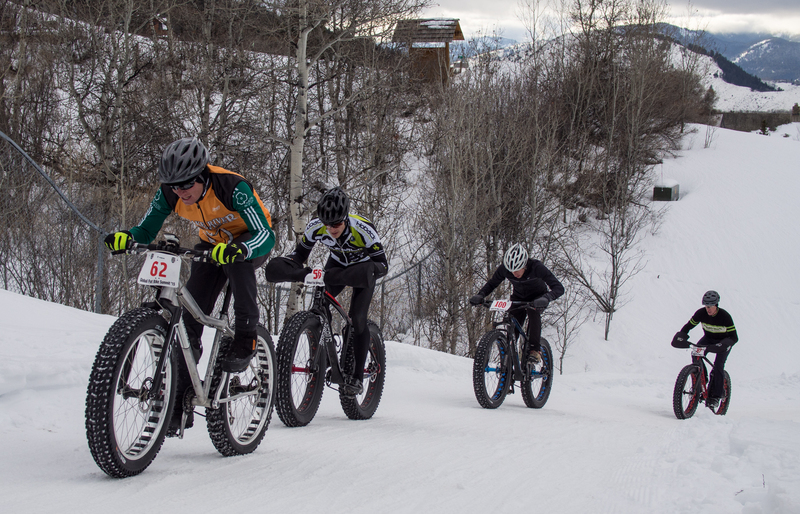 Each race was six laps. 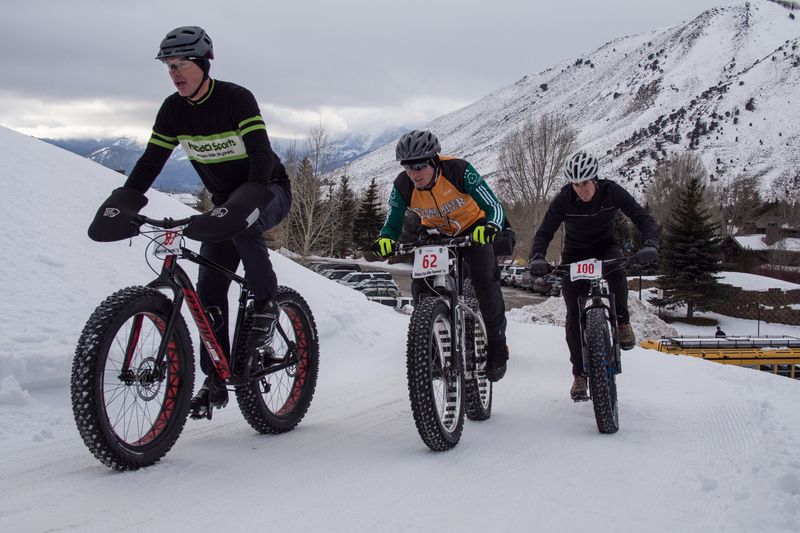 Cary Smith (I think of Jackson), took first place with Geoffrey Montague of Provo, Utah taking second. 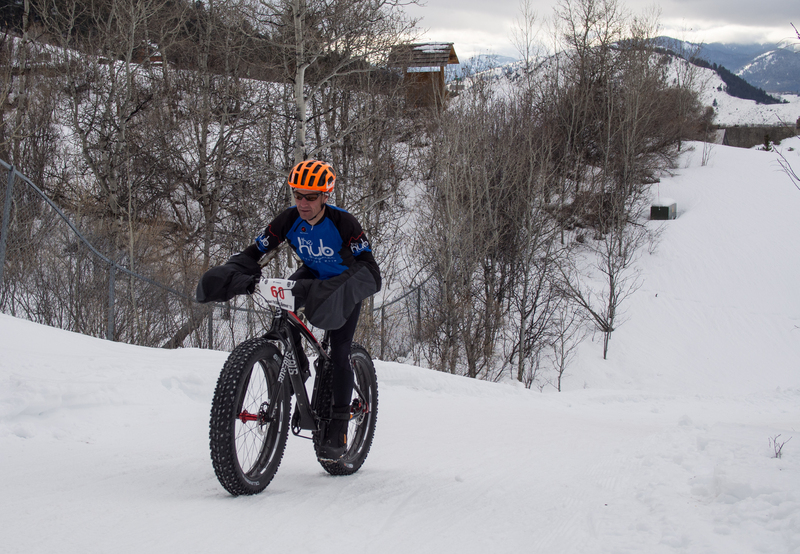 In fourth place was Josh Wolfe, also from Utah. 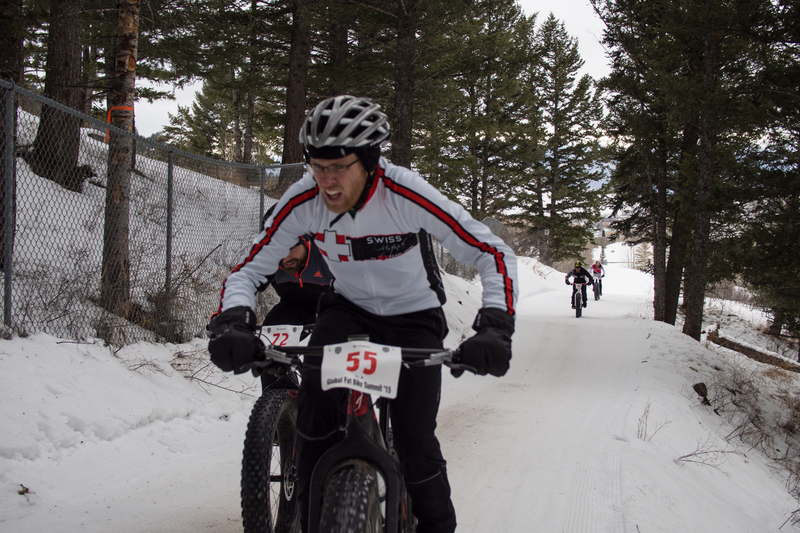 And I’m afraid I don’t know the name of the guy who placed 3rd. 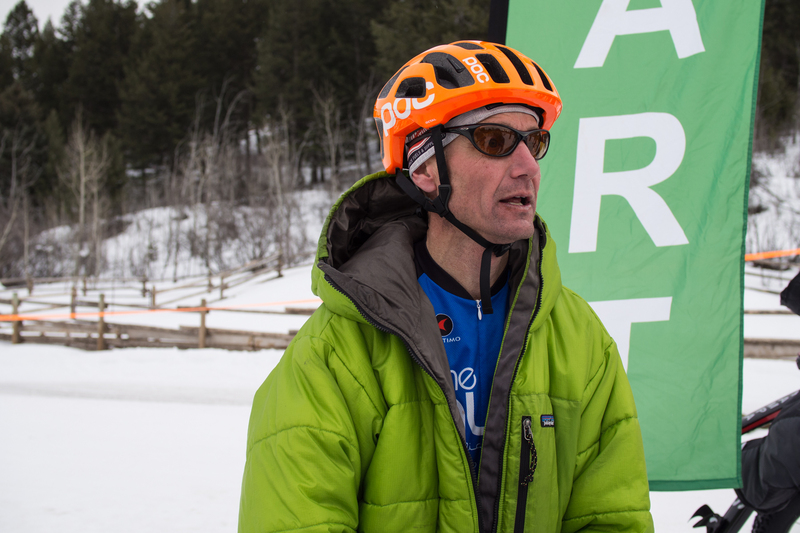 Send us an email if you know his name. 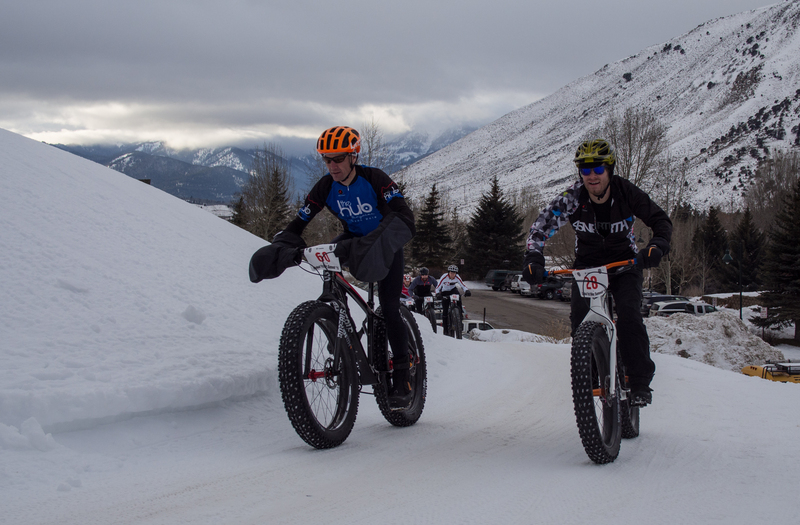 Below are a few photos of the two qualifying heats and the finals. 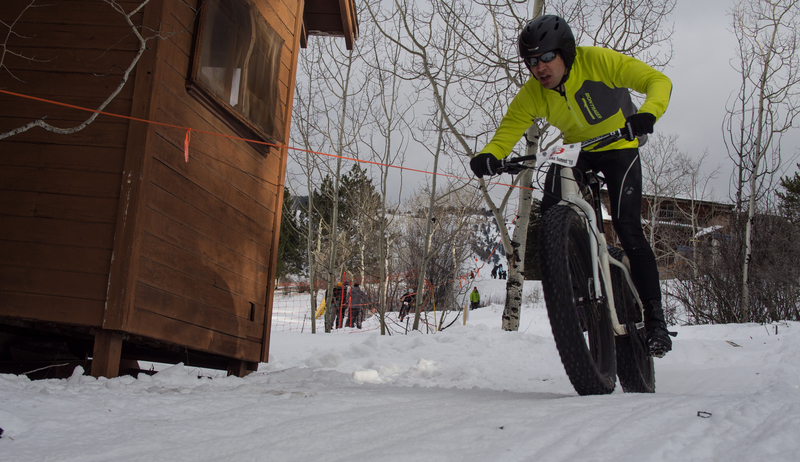 Josh Wolfe, aka Howlin’ Wolfe.